Spoon finally shared their Hot Thoughts with the arrival of their latest LP last week, and now the Austin indie rockers have just expanded their North American tour in support of the new material. Following a round of previously announced North American and European commitments, the band have revealed a number of extended tour dates. These will now see them make Canadian stops in Montreal on July 23 and Toronto on July 25, before jumping back above the border for shows in Edmonton on August 30, Calgary on August 31 and Vancouver on September 2. After another handful of stateside gigs, the tour will come to a close in St. Paul, MN, on September 15. 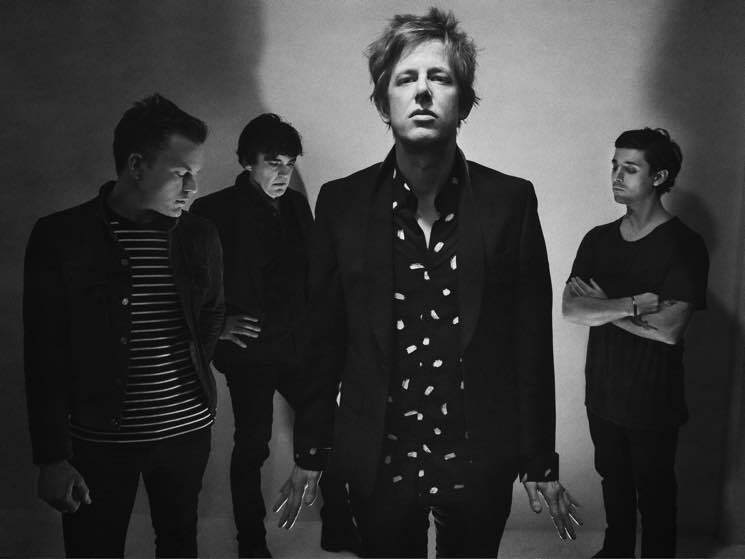 At points throughout the aforementioned summer dates, Spoon will be supported by the likes of Tennis, the New Pornographers and Cherry Glazerr. Find details listed below, and check out the band's entire upcoming schedule here. Tickets for the newly announced North American shows go on sale this Friday (March 24), though Spoon have also shared special pre-sale information below via Twitter. Take advantage of it by following the link below. 04/19 Atizapán De Zaragoza, Mexico - Foro Indierocks! 04/20 Atizapán De Zaragoza, Mexico - Foro Indierocks!